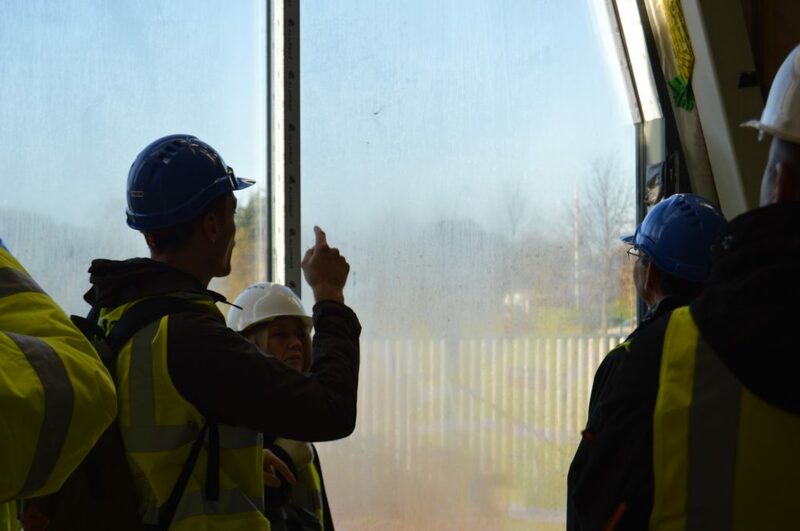 A recent, sold-out event at the University’s Innovation Park, gave attendees a unique opportunity to tour an ‘under-construction’ building aiming for Passivhaus and BREEAM sustainability standards. The Research Acceleration and Demonstration (RAD) building is a brand new £5.4m research facility being developed at the University of Nottingham, in conjunction with the Energy Research Accelerator (ERA) initiative. The RAD building will be one of the most energy efficient research facilities in the UK as it will combine the rigorous sustainability standards of BREEAM (Building Research Establishment Environmental Assessment Method) with the principles of the German Passivhaus system. Passivhaus is based on the creation of a building with excellent insulation and a high level of airtightness, in which air quality is maintained via a whole building mechanical ventilation system. After a welcome from Gordon Waddington, Chief Executive of ERA, the event commenced with Lewis & Hickey, Etude, the University of Nottingham and Woodhead Education delivering a series of presentations that gave a behind the scenes insight into the complexities associated with combining the two sustainability standards. This was followed by opportunities to tour both the RAD building itself, and the ‘Technology Demonstrator’ where research and innovations that have come out of the University of Nottingham are displayed. The RAD Building is part of the University’s work with the Innovate UK funded Energy Research Accelerator initiative. It will help provide more space and facilities for pioneering research projects.